Buchanan hosted a panel discussion, titled “Pennsylvania as an Energy Leader: The Role of Producers, Pipelines and Philadelphia,” at the 5th annual Shale Insight Conference hosted by the Marcellus Shale Coalition on September 16. 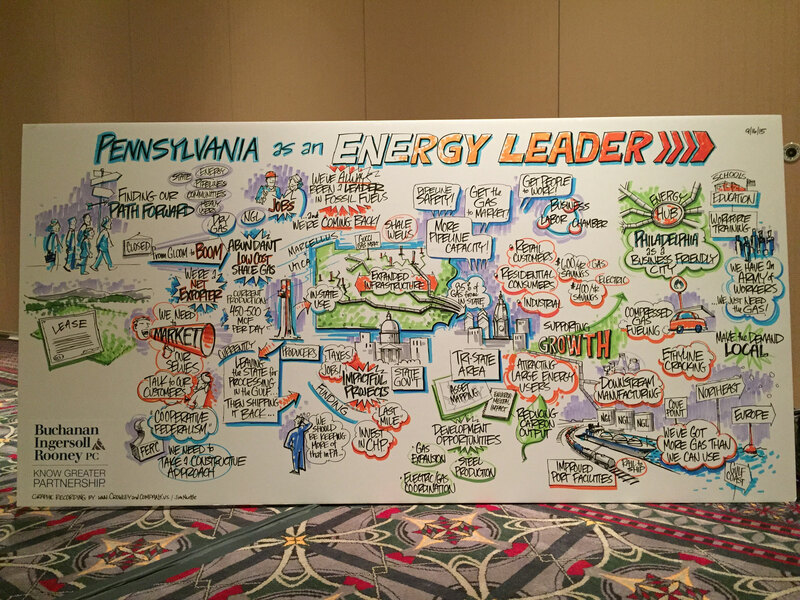 Industry leaders, regulators and government officials, and labor representatives discussed the ways in which economic benefits from Pennsylvania’s shale gas industry require partnership across a broad array of stakeholders. The panel, moderated by Sean W. Moran, chair of the firm’s Oil & Gas Practice Group, was part of the two-day conference, which attracted more than 1,000 attendees and featured industry-leading CEOs, federal and state officials, and thought leaders discussing the public policy and landscape that defines shale gas industry development across the Marcellus Shale region and the world. Noted in several media outlets, including NPR, Law360 and the Pittsburgh Tribune-Review, Buchanan’s panel discussion ignited a lively conversation on the challenges and opportunities for Philadelphia to become an energy hub – an advantageous step to both the natural gas industry and Pennsylvanians. 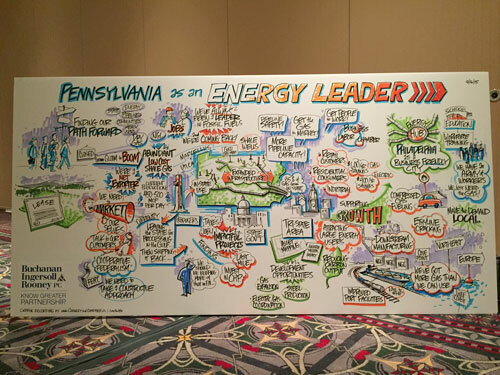 "Pipeline Crunch Is A Key Topic At Philadelphia Shale Conference"
"'Philadelphia as Energy Leader' Session Captured Live by Cartoonist"
The firm had a graphic recorder on site illustrating the panel discussion. See the final image here.